On my way to work on board the MRT, I felt a discharge of blood. I checked on myself inside the comfort room, and my underwear was covered with chunks of blood. I washed myself to clean the blood, and I felt something hanging. I gently pulled it, and on my palm beside another chunk of blood was my baby. She was there so calm and complete. I immediately recognized her round black eyes. Thank you, dear Lord, for answering my prayers. Despite my doctor’s warning that I might not recognize the baby anymore and everything that would come out will just be blood and tissue, I still was able to hold my baby in my palm, and she went out naturally and so complete. Thank you, Lord. My little darling, so peaceful and pretty still. So complete despite all the complications. I had my transvaginal ultrasound. The embryo was not there anymore yet my lining, the sonologist explained, was still thick. I asked if it would be something to alarm me or not, she told me that there might still be blood or tissues left inside me that my doctor should attend to. I underwent complete curettage. I remember my doctor told me she needs to clean my ovary and remove everything left from my incomplete abortion. I had my anesthesia inserted from my IV, and a few minutes lost consciousness. I was not able to see my doctor nor talked to her. I just regained consciousness inside the recovery room. I am nursing my eight-month-old baby boy. God gifted me with a boy after the missed abortion. He must have loved me that much. He loves me still. I am so sorry to hear about your experience. It must have been very hurtful, I can’t even imagine the pain of losing a part of you. I know the loss can’t be forgotten, but I am glad to hear that you have managed to get pregnant again and bring to the world a healthy baby after a few years from your awful experience. Thank you. And yes, we are so grateful for having a new blessing. He is our greatest joy and pride now. I can not even imagine what this would have been like. I am so sorry for your loss, your pain and in having to experience this dreadful event. I still think of my baby sometimes but Im thankful God gifted us with a new blessing. Thank you. And yes, he is making me happy. Wow, that picture totally shocked me. It must be amazing for you to see your own little baby. It’s hard to loose a baby, I can tell from experience. The more I read online, the more I see mothers speaking about child loss. I had an article today about it actually. Run for KiKa it’s called, if you’re interested. Anyways, how did you say goodbye to your baby? Did you do some kind of memorial ceremony? I will read your Rub for KiKa. Thank you. We had him blessed by a priest. We put him in an urn. Hes with us everyday inside our house, in our kitchen where i usually spend most of my time. Words cannot express how you felt and feeling now. Be glad to know that God is with you and you have people around you who loves you. Ohh my, I’m sorry for the loss. And as a father myself, I hurts to see losing your precious child. I don’t know what words to say.. I guess just be comforted with God’s love (and the people around you) and do not blame yourself w/ the miscarriage. And enjoy motherhood w/ that bundle of joy that you will raise with the majority of your adult life. This really struck home with me. I had a miscarriage a few years ago. I was able to make it to the toilet and everything was released into the bowl. Out of habit I flushed and afterward had the terrible realization I flushed my baby along with all the other blood and tissue. I still feel heartbroken over that. I wish I could have seen that little 9 week old baby. I would have loved to hold it and say goodbye. But shock and habit took that opportunity away from me. I’m glad you got a chance to say goodbye. Good luck if you are trying to conceive again. It was such a heartbreaking experience not to be able to hold your dear baby. But at least you have survived. I have no plans of having a baby in the near future. Not yet, perhaps. Oh my god , I am shivering . How touching is this . So sorry and so happy at the same time for you . How blessed you must feel now , enjoy your little baby to the fullest every minute of his precious life . Aw, what a journey. You are strong and amazing. So happy you managed to get good outcome at the end. Thank you. It was indeed a journey I would not like to go through again or other moms to experience. Berlin, I’m lost for words. It was very unfortunate that this had to happen. But at least the procedure was safe and that you were able to have a son after. Thank you for being a strong mother. And thank you for finding something positive after what happened. You’re an inspiration. Thank you. It was the darkest moment of my life but thank God for another blessing. He is truly loving and generous. I had 2 miscarriages before and in both cases I went through emotional heartbreak. These experiences were difficult indeed, but made me somehow stronger and would say a better mom toy 2 boys. I am so sorry for the 2 miscarriages. But you are right, having experienced that made us stronger and a better mom. Good luck to us. Hello there, Baby Z. Yes, God answers our prayers in His time. You’re such a strong woman, Ms Berlin. You’re blessed because you’ve been very patient waiting for the right time. I may not know you personally but your experience is truly inspiring! sis, I am so amazed by your courage.I don’t even know what to do if this happens to me. Grabe, formed na si baby o, usually, I only see this pic online in Google from people I don’t know. This is the first time to see an actual photo from someone I know. I really thank God na kahit wala na si baby, at least nakita namin sya ng buo. The doctor warned us kasi na baka puro dugo at tissue na lang sya. Thank God talaga. Grabe ka.. I can’t imagine going through that inside a public rest room. This is so heartbreaking! I would never be calm if that’s me! I hope you are feeling ok now. Yes, fine and fully recovered emotionally. We have a new baby who’s bringing too much joy in our house. I’m sorry for the baby that you lost. I admire you for your strength. Buti you still had presence of mind at the MRT station. Kung ako yan, i’m sure nag-panic ako. Ive been praying since then kasi na I got to hold the baby. And God answered my prayers. I didn’t see that coming. I wouldn’t know how to react myself had I experienced that. My heart sank when I read your post, your baby is beautiful and an angel right now watching after you. God does work in mysterious ways, at times we might not know why things happen but eventually we understand. Thank you. Yes, we have an angel now looking after us. God really does work in mysterious ways. It’s hard for me to look at your picture and read this post. I also lost what would have been my first child. 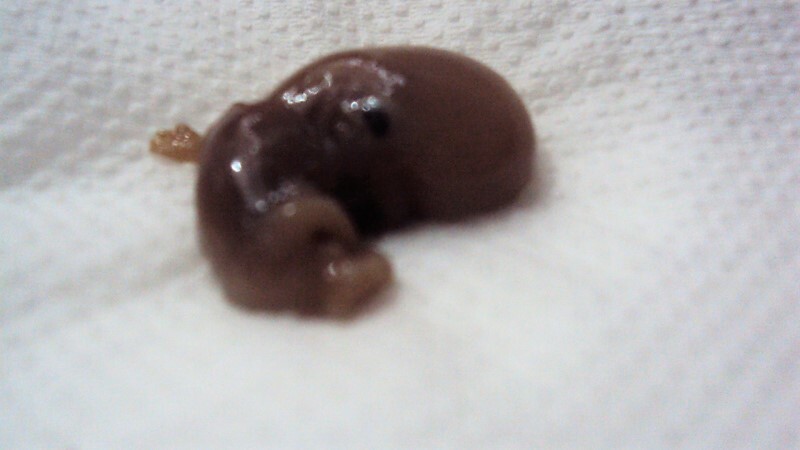 When I went to my doctor she removed the fetus but cut her in half… I was devastated. I’m blessed though because I have 3 beautiful kids. I am so sorry to learn about that and for making you remember the before. The good news now is that you have three beautiful kids. Hi Mommy Berlin, I love your blog! You share a piece of your world or knowledge in a nice and unique way. Keep it up, I’d love to come back!